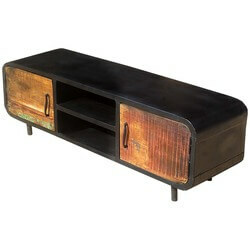 Ever thought about featuring a retro-industrial look in your home interiors? 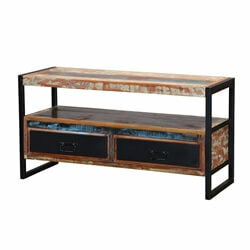 You’ll definitely want to do so with our Iron Frame Wooden Rustic TV Media Console! 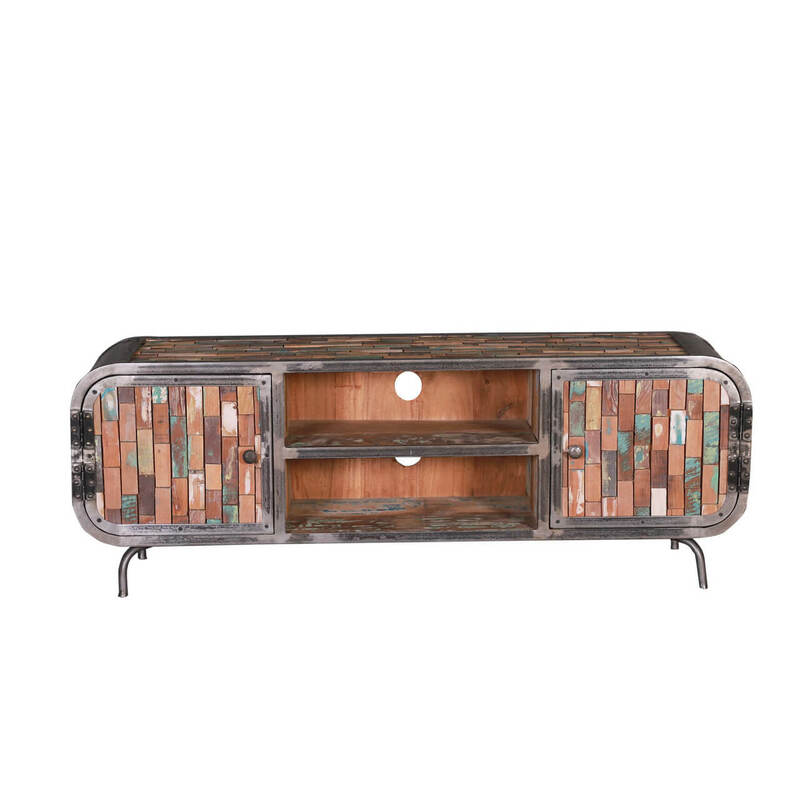 Beautiful, charismatic, and the epitome of pragmatic, this media console has been handcrafted from the most durable solid reclaimed wood pieces. 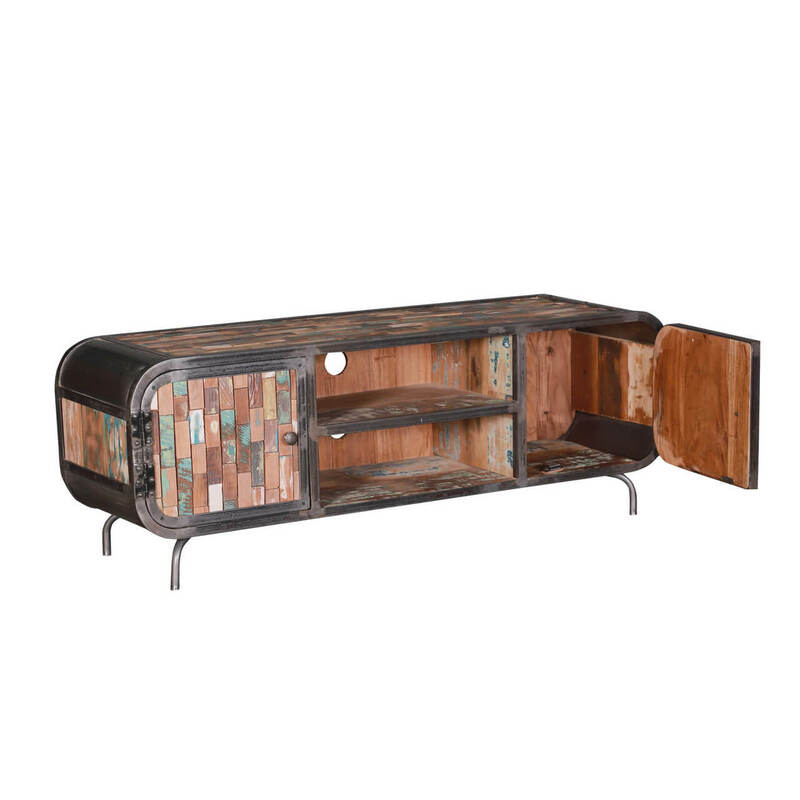 It brims with personality, eco-friendliness and warrants an excellent heirloom quality. 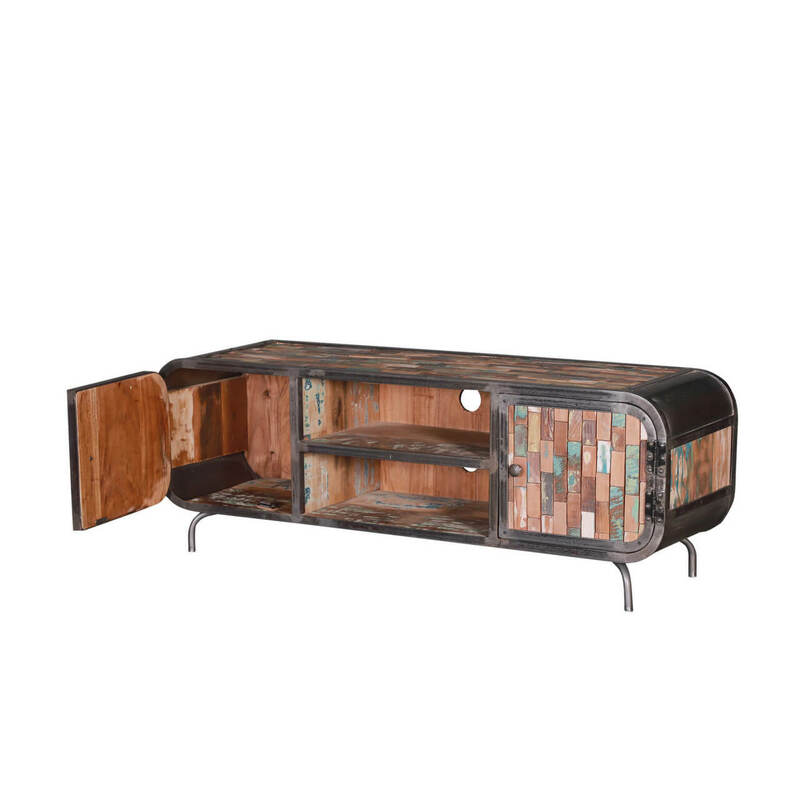 The main feature of its design is the exclusively retro rounded edges that complement its rectangular physique. 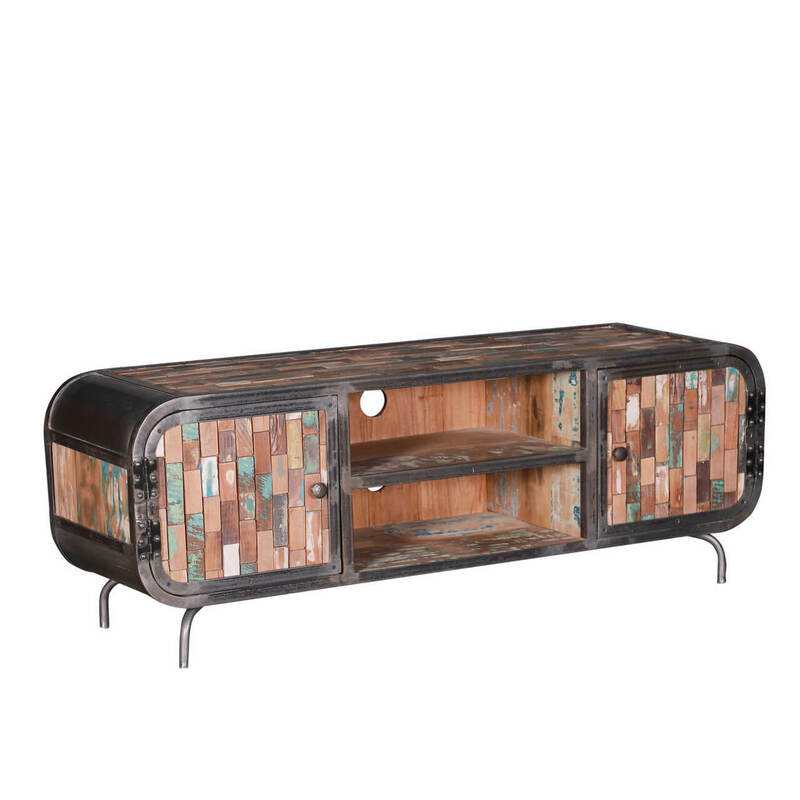 The top frame, side, and bottom smoothly glide into each other in a seamless look. 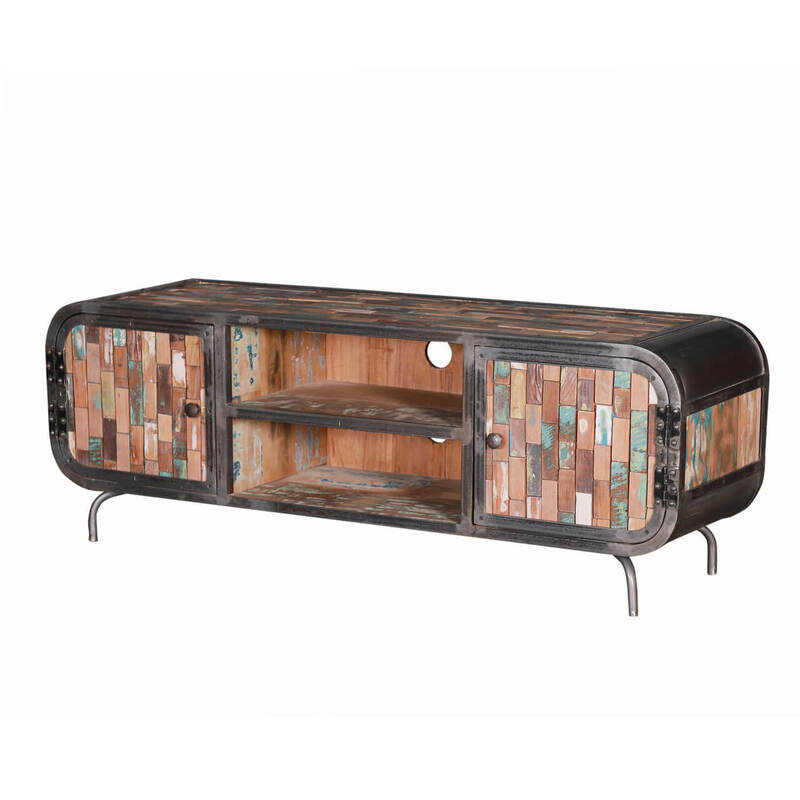 The edges are lined with metal and exude an edgy appeal. 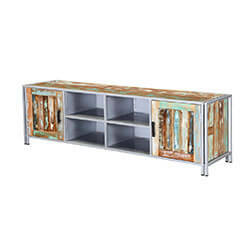 The main body is divided into 3 parts – 2 single-leaf cabinet doors that mirror each other and a centre open 2 shelves stacked on top of each other. There are circular cutouts on the back of these open display shelves to better accommodate wiring. 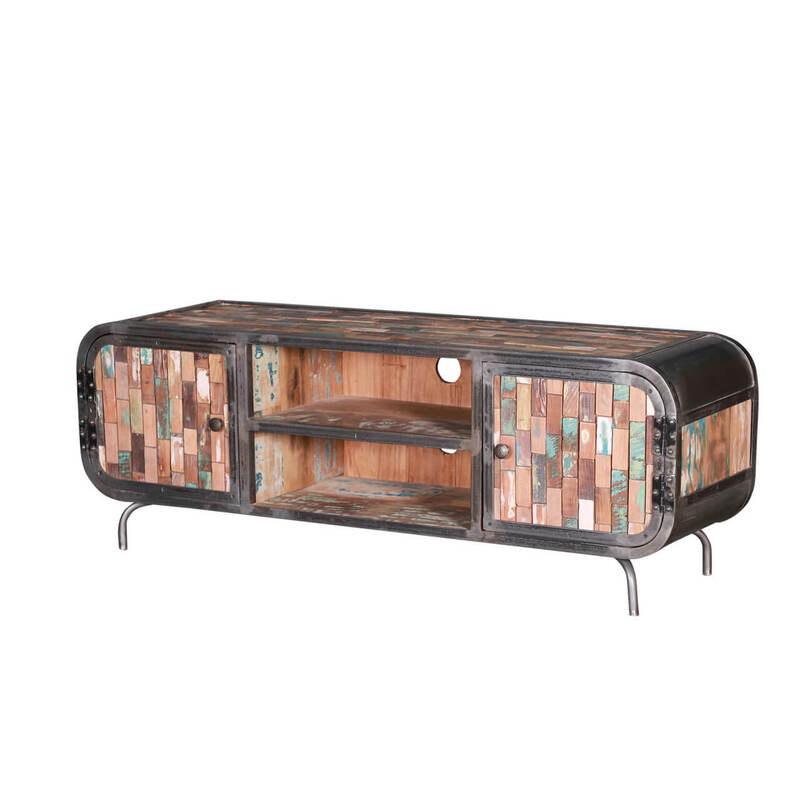 The cabinet doors are embellished with a mosaic of multicolored distressed wood pieces, and the bottom ends with spindly, gently curving metal legs. 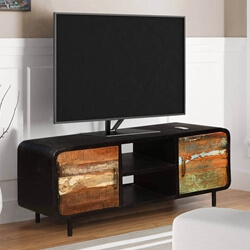 Despite its very bold and distinct design, you can feature this reclaimed wood media console in a number of interior design styles, including but not limited to rustic, retro, industrial, shabby chic, contemporary, eclectic, and many more.